Does your family take a vacation every year (or every few years)? It doesn’t have to be a big trip or far away, but something special and out of the ordinary. 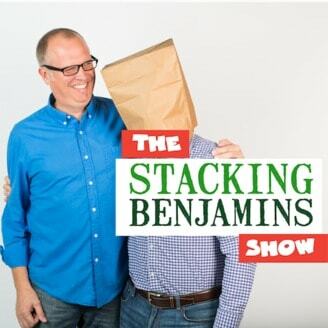 Last year I participated in a round table discussion on the Stacking Benjamins podcast about family vacations. (Listen here!) 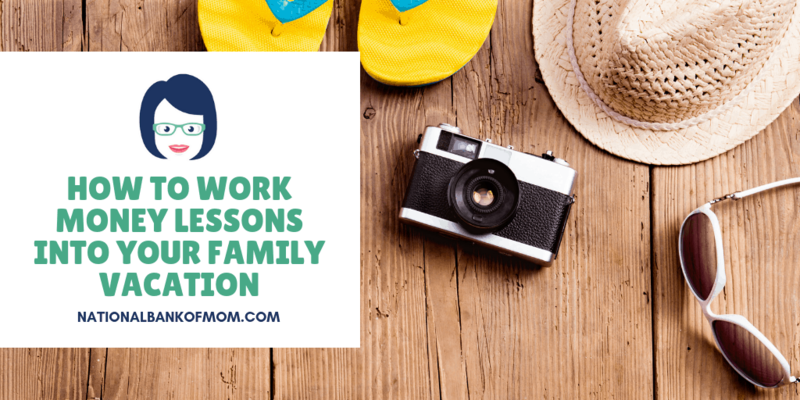 I had more to say on the topic and it’s a great time to start planning your next vacation, so let’s talk about how you can get your kids involved and work in some money lessons, too. Instead of deciding (as the parent) where you’ll go on your family vacation this year, get the kids involved. Everyone can choose a few ideas to present (then decide as a group) or give a few options for everyone to choose from. Involving your kids gives them ownership of the vacation and will make them feel like a part of the team. I know a lot of people who take their kids to Disney, not because they like Disney characters or theme parks, but because they feel like they should. Decide where you want to visit based on your family — your values, budget and interests. When you prioritize your decisions based on what works best for you, you teach your kids that they don’t have to follow what everyone else is doing. Along those same lines, there’s nothing that says your vacation should be to the beach or a week long or to the same place every year. Consider taking a few smaller vacations instead of one big one. Or think about a near-cation where you see all the sights close to you (that you never make time to see otherwise). Get creative. Talk about how much you want to spend and make sure your vacation is in line with your plan. If all six of you want to go to Hawaii and your budget is $1K, you may not be able to pull it off. Kids often don’t have ANY concept of what a vacation costs. Share what you feel comfortable with in an age-appropriate way. Also be careful of how you use the phrase “we can’t afford it.” What we can and can’t afford is based on our decisions and priorities. If you want to spend more on a vacation, look at how you’re currently spending your money and see if there is any room for a tradeoff. We’ve talked about using credit cards for rewards and cash back. Wouldn’t it be great to use those for your vacation? We planned a trip to DC last year and booked a hotel for three nights using rewards points, paying only $100 out of pocket. Plus, the hotel offered free breakfast and had a pool — perfect for family vacations. Does your vacation have to be during the summer months? Many places are hot, crowded and expensive at that time. Do your kids have any time off from school during the year that you could use for your vacation? We planned our trip to DC in November when J had a few days off school. Do you have family or friends who would want to join you on vacation? Adding more people not only can bring the cost down (by sharing a space and possibly meals), but it’s often more fun for the kids (and adults)! How else can you get creative and start saving? I love the saving (and debt repayment) coloring pages so that you can visualize your progress. Debt Free Charts and Map Your Progress have some example printables or you could make your own. Once you decide on a destination, task your kids with looking for activities that interest them AND fit in the budget. Look for free activities in and around your destination. When we visited DC, we requested a free tour of the capitol building from our congressman. I don’t know about your kids, but my kid loves the simple stuff — getting or making a pizza, watching a movie, playing board games, going to the park. He doesn’t need a big expensive activity to have a good time. In fact, it seems he prefers the low-cost, simple things best and being somewhere new is exciting enough. Check out Gift Shop Fever: Why Souvenirs Aren’t Necessary to Remember Experiences from Four Pillar Freedom. Regardless of how you’ll tackle the question of souvenirs, talk about it ahead of time. The bulk of teaching your kids how to handle money starts with having a conversation. Think about things ahead of time — what matters to you and what choices will you make in the future? Not only should you look at your budget beforehand, but have kids keep track of expenses during and after your trip. We did this for two of our recent trips; read more at Tracking Our Spending on an Awesome Weekend Road Trip and How Much Does Your Vacation Really Cost? It was a great way to keep J involved so that he could understand how much vacations can cost. Do you already involve your kids in your vacation planning? How do you vacation? Share in the comments below!